I love to create cakes for special occasions. This particular confection heralded the arrival of two little kittens named Gustav and Zero – friends were invited over to see them and share a slice of summery cake with a burst of fruit. Preheat your oven to 180C. Beat the butter and sugar until light and fluffy and then gradually add the eggs and rosewater. Once combined, fold in the flour, baking powder and cardamom. Pour the mixture into two greased and lined sandwich tins and bake for 20-15 minutes or until the sponge is lightly browned and springs back when you press it with your finger. Empty the juice from the mandarin segments into a saucepan and add the sugar and spices. Bring to the boil and then simmer until thick and syrupy. Remove from the heat, combine with the mandarin segments AND LEAVE TO COOL. Whip the cream until stiff. 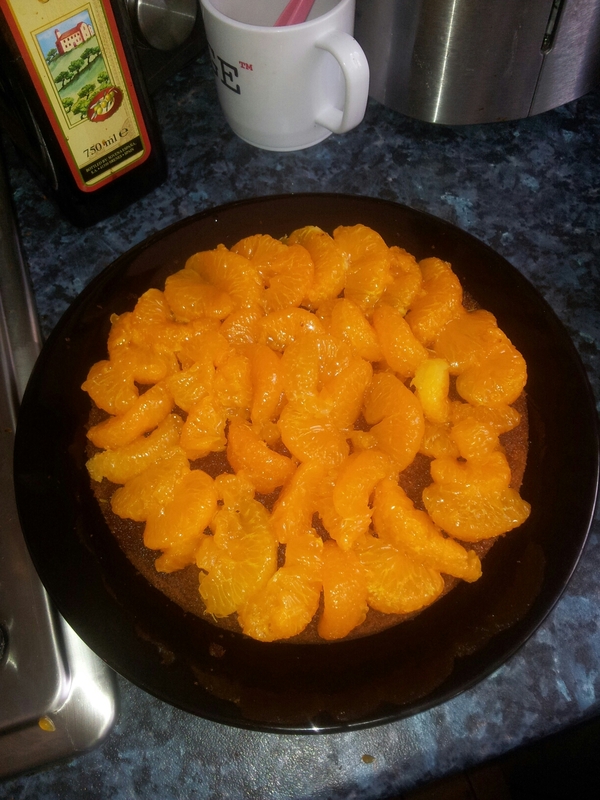 Arrange half of the mandarin segments on the bottom layer of your cake and drizzle with syrup. Top with whipped cream and the second layer of cake. Arrange the remaining segements on top of the cake and drizzle with a bit more syrup. 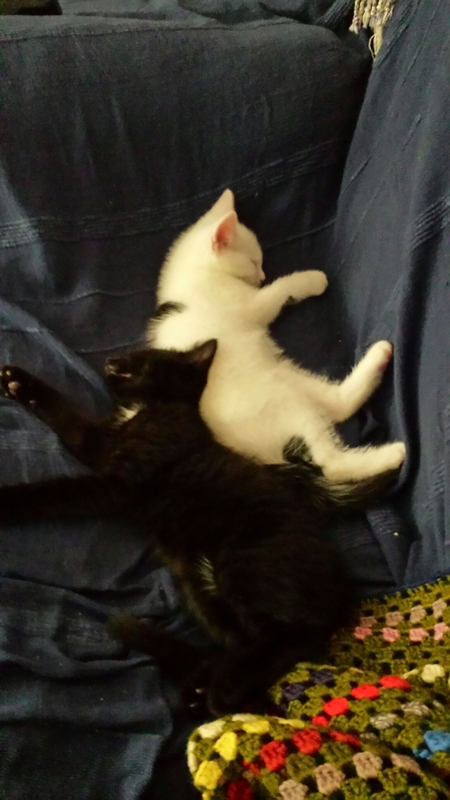 And here are the kittens! This entry was posted in Food and tagged baking, cakes, fruit. Bookmark the permalink. It went down well with my guests and kept well in the fridge! If you try it out do let me know how you get on!